The dramatic high back Moza chair is constructed from solid African teak wood, genuine leather, and traditional Emirati Sadu fabric. Inspired by the vernacular weaving process, the exaggerated timber spindles in the back are stretched as strings are on the loom. 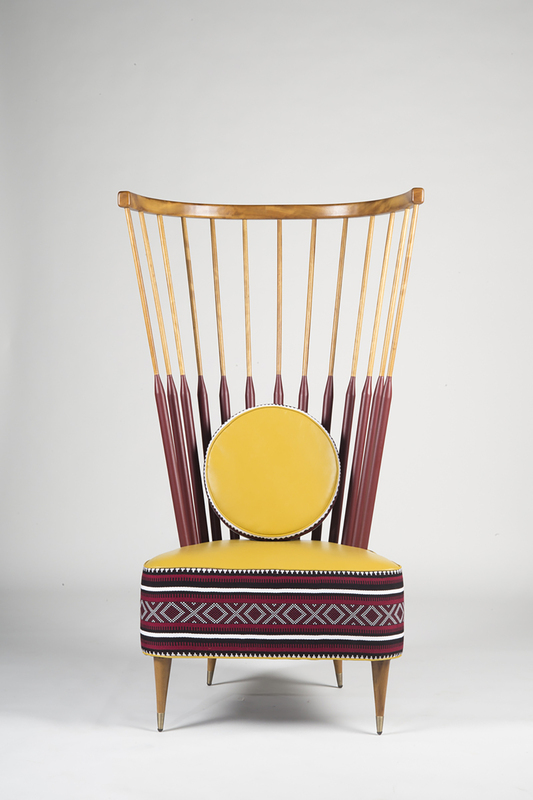 The Sadu fabric is displayed as a film strip surrounding the base of the seat and edge of the seat cushion to emphasize the story telling patterns of the fabric.